and comments from 2006 participants. Canyon de Chelly, in Northeastern Arizona is a breathtaking site in the heart of the Navajo Nation. There are: Rock Arches and Spires, mysterious Petroglyphs and Rock Art; and multi-storied Anasazi Ruins tucked into the sheer sandstone walls. Most of the Canyon is restricted access, but with our Navajo guides and permits for the week, we'll be able to go everywhere as a group. You'll be inspired by: Sheer Rock Walls towering above ancient cottonwood trees; the Bluest of Skies mirrored in the murmuring stream that runs the length of the canyon; and Navajo Hogans and cornfields dotting the canyon floor. Camping in the Canyon itself, we will enjoy spectacular Sunsets and Sunrises. Evenings are spent around a campfire hearing Navajo tales and sharing the days' experiences. Meals will be home-cooked, on site and will be fresh, hearty, and delicious. Our schedule will be to awaken to the smell of camp coffee, followed by a hearty breakfast. All of your art, photography and camping gear will be brought in separately by truck. You supply art, photography and camping equipment.  Detailed lists provided. Click here to see links with more details about this experience. Students need to arrange their own transportation to Chinle, Arizona, at the mouth of the Canyon. (maps provided). Ride-shares can be arranged for those flying into Albuquerque, New Mexico. We will be providing a list to you of all participants and email addresses in plenty of time to contact each other if so desired. This trip is set up for painters who are familiar with their equipment and experienced at plein air painting. 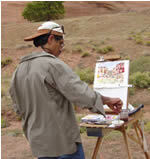 It is a once in a life time opportunity to paint in this beautiful canyon with experienced guides and material support. We suggest small canvases and easy to manage supplies. - send $10 postage and handling to the address below. Please let us know if you prefer DVD or VHS. Click here to view a Short Video Clip from the 30 Minute Video (8.73 MB). Scroll down and click on the links below for more information about this experience. Please feel free to give us a call with any questions. We'd LOVE to Chat about our classes! "Getting to know the Native Americans was the best part of the trip for me. I had never been around Indians before. Our guides did all the cooking. and took special delight in taking us off the beaten path. The children playing around the campfire, while the adults made meals, were a delight." "The food as wonderful ! All home-cooked and fresh. - were delicious! and there was always fresh fruit and salads. I especially loved the Traditional Feast on the last night. A turkey is slowly roasted in hot coals all day - unbelievably good." "Seeing the stars at night woke up a part of me I had forgotten about."